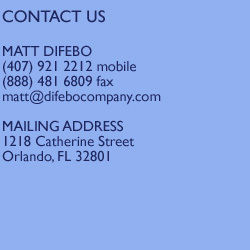 Matt DiFebo is Associate Athletics Director for External Services and Director of Ticket Sales for the University of Central Florida Athletic Association. He previously served as Manager of Inside Sales for the Pacific Northwest’s professional basketball franchises, which include the NBA’s Seattle SuperSonics and WNBA’s Seattle Storm. He can be reached at: mdifebo@athletics.ucf.edu. program in the college ranks. I wanted the challenge of seeing if what was done at one level could be accomplished at another. Using tactics from the professional sports industry, we created a sales culture where one did not exist before. We developed an infrastructure for success, hired full-time salespeople, implemented best practices in customer service, and used one-on-one sales techniques. percent, reaping nearly $200,000 in new premium seat revenue. In addition, over $1 million in new and upgraded donor contributions have been collected through our sales office. One of the keys to our success was creating a fan-centric sales department that embraced and won over our existing fans. Success in sales is all about relationshipbuilding, and so we provided a level of customer service exceeding anything our fans had ever experienced. Before we could do this, though, we had to assemble the right infrastructure. Many college athletic departments try to increase ticket sales by taking small steps. They implement some new promotional ideas and branch out to a few new markets. They believe they have all the resources they need, and that they just have to shake things up a bit to increase attendance and ticket revenue. In my opinion, that is a mistake. To make real headway in ticket sales, you need to invest resources up front. Ultimately, you want to create a system that gives you maximum return on investment (ROI). For UCF, that meant fully committing to a comprehensive new ticket sales initiative. Otherwise, we would be risking diminished returns or, even worse, experience complete failure. Of course, for any new investments to pay off, they have to be made in the right place. The most important asset to develop is proper staffing. ticket sales drive all other revenue streams, from concessions to corporate sponsorships, and virtually every team now employs a sizable staff focused year-round on ticket sales. Many of these staff members are ready for a director of sales position, where they can apply their expertise in a collegiate athletic department. There are several qualities to look for in hiring this individual. He or she must understand sales culture among all demographics and be capable of applying established sales strategies to the college environment. A director of sales must also be able to communicate effectively with executive administrators and coordinate with other departments, such as ticket operations, marketing, fundraising, and sponsorship. Finally, this person must be a proven leader with the ability to train and teach sales technique to his or her staff. assemble the right team, the investment will more than pay for itself in the long run. The size of the staff should vary depending on your situation and resources, but it’s usually within a range of four to 10 full-time salespeople. Anything less may create job demands that are detrimental to the goals of the program. These individuals should focus solely on revenue generation and not have other duties in the athletic department. Students can be utilized to supplement your sales efforts once a staff is in place and operational—but the key word here is “supplement.” Students can perform administrative tasks and help with some after-hours calls and staffing tables, but they should not be responsible for making significant sales. and working extremely hard. They have to like selling. But I also tell them it is a great launching pad for a career in an athletic department. I explain to potential hires that personal sales statistics make it very easy to quantify their work and show their value—which is what athletic directors often look for when promoting from within. Sales staff members will also have the chance to learn the industry from the inside while making a respectable entry-level salary (as opposed to being an intern with very little compensation). With this tactic, I get gung-ho salespeople who are very eager to learn, work hard, and hit their numbers. And I am excited to help them advance their careers. A key component of our program has been training our staff in the art of ticket sales, which I learned through Charlie Chislaghi, the best in the business. We do this through staff training sessions, mentoring, and constant feedback. For us, the primary focus is fostering one-on-one relationships with customers. Our salespeople call every past and potential buyer and develop a relationship with them—yes, a personal call. Using a database program called Archtics (by Ticketmaster), we keep track of information on our buyers and use it to increase sales. We meticulously record all information on our ticket-buying fans and review and update that information before and after every interaction. listen well to the customer’s answers, respond, and ask follow-up questions. They learn to ask questions like, “How was your experience at the last game?” and “Where do you like to sit?” and “Who do you go to games with?” Relying on information from the database, they can ask, “How did you like those end zone seats at the Marshall game?” Through questions like these, we find out what the buyer wants in his or her game experience. We teach some other fundamentals, too. For instance, always smile when you’re talking—even though the person on the other end of the line can’t see you, a smile comes through in your voice. Use the person’s name throughout the conversation. Listen to any complaints and suggestions with earnest concern. All this helps the salesperson offer a ticket package that meets the fan’s needs. When the prospective buyer realizes we have their specific desires in mind, they are much more likely to say “yes” to the sales presentation. Another critical part of the training is teaching salespeople how to sell your specific teams. For example, at UCF, we have a sizable alumni base living nearby but not a long history of athletic tradition. So we have branded ourselves as “Your Hometown University.” This is how we engage the community in a way that’s different from our peer institutions. Hand-in-hand with training must be support. It’s important to invest in your sales staff by providing them with any resources they need. I work hard to make sure my sales staff feels respected and that they are developing in their careers. I have found this is a much better motivator than games or gimmicks. Once you have assembled the correct infrastructure and developed a highly capable staff, you should devote your energy to finding the most effective sales campaign strategies. If the goal of your sales department is to maximize revenue, it is important to organize effective marketing plans and stick to them. To begin, target the areas where you have the greatest revenue potential. Identify the most qualified databases in your possession and start your sales tactics there. At the top of the list will usually be all your past ticket buyers. Our list continued with alumni, donors, vendors of the university, and local businesses. After that, work on your most logical untapped prospects. This can include corporate sales, group sales, and referrals from existing buyers. From there, try expanding to nontraditional markets, using creativity, and coming up with new ideas. phone, we asked them, “Are two seats enough?” and talked about the fun of inviting some friends along. they enjoy the most? Would they like to try another seat location? How many games do they plan to attend in the future? Group Sales: Ideally, you can hire a sales staff dedicated to securing group sales, and this is something we hope to implement soon at UCF. Group sales are a very important way to get large numbers to sample your games, and they should be a focus of every program. Of course, be sure to get the names and contact information of all participants so they can become part of your database. Group sales can be targeted at large employers, your corporate sponsors, donors who own companies, social groups, civic groups—anyone who is looking for a group outing. One great tactic is to customize the experience for the group. For example, you can help them set up a tailgate party before a football game or put their name on the message board during the event. To draw a local Boy Scout troop to a men’s basketball game, you could organize a sleepover in the gym after the game, with activities and a movie shown on the JumboTron before lights out. A new idea we are implementing is offering “assets” to groups able to sell a certain number of tickets. For example, for selling 200 tickets, a choir can perform the national anthem before the game. For selling 100 tickets, a group might be allowed to serve as the fan tunnel for the players. Not Taking “No”: What about the person who says they don’t want to renew their season tickets or purchase again? We ask them for all the reasons they do not intend to renew. We tell them we value them as a fan and we sincerely want their feedback. We write down their ideas and try to correct any problems. Then we work on winning them back. We tell them how we are responding to their ideas. One option can even be to offer an upgrade if they will purchase again. We might give them coupons for free concession items or even provide a courtside seat as a gesture of our commitment. We then try to personally visit them during the game to see how everything is going. After the game, we always follow up with them to get their valuable feedback. Yes, these communication efforts take some time and effort, but they are more costeffective than finding a new season-ticket holder. And it is amazing how a little customer service is all it takes to bring them back. Referrals: At the conclusion of every single call our sales staff makes, they ask one final question: Who else do you know who is a fan or might enjoy coming to a game? Referrals are critical in this business, and the only way to get them is to make this question a part of the sales protocol. By now I’m sure you’re wondering if all the money, time, and effort we put into selling tickets has been worth it. Here are the results: Our initial start up costs for the sales department (not including our regular marketing budget) was less than $250,000, which includes everything from salaries to telephones. We have calculated that our return on investment in each of the first two years was, at a minimum, a resounding 10-to-one. The key has been taking a customer-service approach to selling tickets, plain and simple. When fans feel they are valued and have a voice, they are the easiest people to sell to on earth. And why shouldn’t they be, when you have the greatest product on earth to sell to them? Oftentimes, administrators are tempted to outsource some or all of their ticket sales efforts. It can feel overwhelming to hire a sales staff and implement a full sales program. Outsourcing seems like an efficient and hassle-free way to bring in ticket revenue. However, in my opinion, outsourcing will lead to less profitability. When you hand your ticket sales over to someone else, you are relying on a third party to serve your most critical revenue base: your fans and donors. You are also handing over a large cut (40 percent or more in most cases) of your revenue. No matter how capable a third-party vendor may be, they will not treat your ticketbuyers the same as an in-house sales staff will. Can a third party generate your revenue, treat your fans with superior customer care, and operate with your best interests in mind? Maybe, but that’s a gamble I wouldn’t take without careful scrutiny and assurances of deliverables. Copyright© 2008 MAG, Inc. All rights reserved.